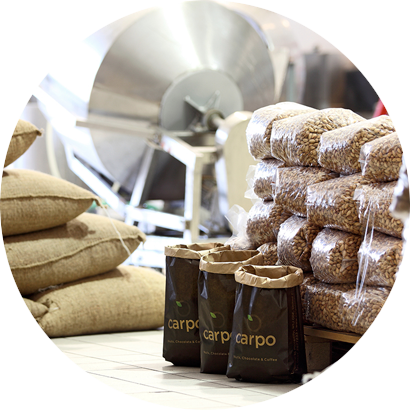 carpo was founded in Athens in 1991, and has been active in the field of importing, processing, packaging and merchandising nuts and dried fruits. Over the years, an advanced production unit has been created, that flaunts the latest mechanical equipment. Quality control always ensures that processing and packaging never affect the product. 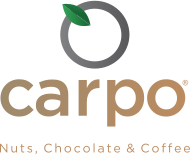 In recent years, carpo has expanded its operations into the retail market with an innovative concept where the three basic categories of their products are prevalent: nuts, chocolate & coffee. With the highest quality products, the excellent customer service and exquisite merchandise, each carpo store offers a unique senses experience: The carpo 5 senses experience. Following the opening of the carpo Kolonaki store, the company operates eight stores in total, five in Athens and three in London. Since 2011, carpo expanded in the retail market as well, by opening its first flag store in Kolonaki, one of the most prestigious neighborhoods in Athens. In February 2013, carpo dared an even bigger step, by opening a carpo store in the heart of London, at Piccadilly Street. carpo stores had drastically changed retail sector basically by introducing a whole new market. carpo psychiko is the third retail store of carpo and it opened its doors in December of 2013 at 1 Dimitriou Vassileiou Avenue. All the wisdom of nature can be hidden in just one small nut! A new and exciting five senses experience started in Knightsbridge in November 2015. This was the second store we opened in London and has managed to introduce its unique philosophy to the residents and visitors of the highly acclaimed neighborhood. Love can’t be divided, only multiplied. carpo Glyfada opened its doors on December 2016 at 20 Gr. Lampraki Str. The sixth retail store was the first to flaunt a lounge in Athens. …embodies the true nature of a carpo retail store so far. carpo at Selfridges launched on February 2018. “It is a great honour to be part of one of the best and most awarded department stores in the world and we humbly accepted the proposal” quoted Kostas Kontopoulos, carpo’s CEO. Carpo ~ In ancient Greece, Carpo was one of the Hours, the deities of time and weather. 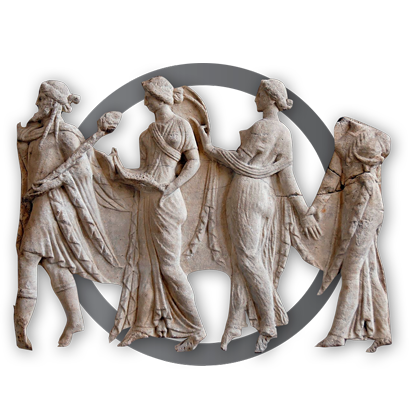 They were daughters of Zeus and Themis and sisters of Nymphs and of the deities of fate. Carpo was in charge of gathering all produce at the end of summer and was the protector of harvesting.